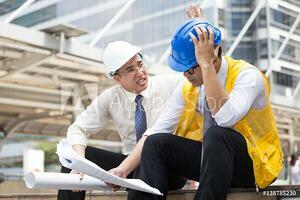 All too often the scapegoat when an incident or unsafe act occurs is the employee. Every day I see pictures posted of workers doing unsafe acts and I ask myself, is anyone learning from these mistakes or are we all getting a good laugh? Based on the captions and responses, the pictures are posted to social media so that everyone can get a good laugh at the “stupid” worker that can’t follow our safety policies and procedures. As Safety Professionals many of which have some sort of credentials that holds us to an ethical standard, is it really fair to continue to blame the employee and in some cases make fun of them on social media instead of digging into our systems in place to determine the “why” and “how”? Scapegoating is the easy way out, and we will not see improvements in our “safety culture”. The result we will get by continuing to blame the worker will be to see the same infractions over and over again. The morale on your jobsites will be negative and your employees will not be happy. We believe in a different approach and it isn’t blaming the worker that is completing his/her task in the best way he/she knows how. It isn’t belittling the employee in front of other people or on social media. When unsafe acts occur, our first thought should not be to snap a picture and post it to social media. Our action as leaders should be to start a conversation with the worker and ask the questions that will support continued improvement in our safety programs. Most of all, remember that your employees in the field can often provide the best solutions. After all, they are the ones experienced in the field. If given the opportunity to speak up without feeling judged as the “stupid” worker that will get blamed, organizations may actually get that excellent safety culture that everyone speaks about wanting.